The High Ones - more volume, less width. 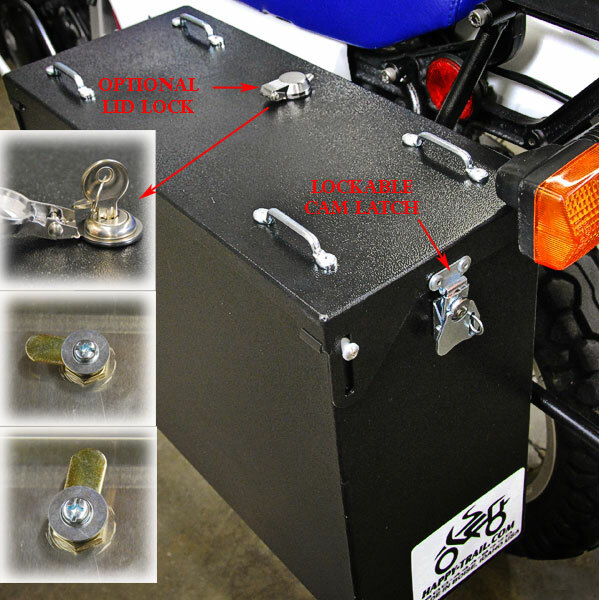 This Denali Pannier Kit for your 2012+ Yamaha XT1200z Super Tenere includes everything you need for a great luggage system. The XT1200Z Super Tenere SU rack has our new Point1 pressed insert design. This adds to the ease and functionality you?? ?ve come to expect from our pannier systems. Details HERE. This bike's geometry is perfect for our exclusive Clif-Cut design. This 1.5" exhaust cut-out is used to create a narrow profile. Select the Denali standard if increased volume is the primary goal as opposed to narrow profile. The bike is pictured with standard Denalis installed.